Sarah Sternlieb’s practice focuses on complex commercial litigation and appeals. She has intimate knowledge of every stage of the litigation process, having represented clients in high-stakes federal and state litigation at all levels, and brings strong experience in contractual disputes. Sarah has worked on numerous appeals, including petitions and briefing to the U.S. Supreme Court, on subjects including consumer protection, patents, securities, women’s rights, and Fourth Amendment rights. Sarah has been recognized for her extensive pro bono contributions, including her representation of New York public-school parents in an educational rights suit and a group of physicians opposing the Texas H.B. 2 regulations in the U.S. Supreme Court. 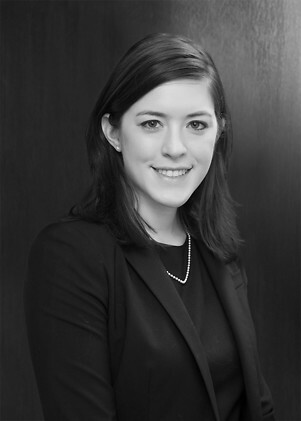 Prior to joining Holwell Shuster & Goldberg, Sarah was an associate at Orrick, Herrington & Sutcliffe, where she worked on commercial litigation and appellate matters. Before that, she clerked for the Honorable Jill Pryor of the Eleventh Circuit Court of Appeals and practiced at Kirkland & Ellis in New York. During law school, Sarah interned for Judge Timothy Batten of the Northern District of Georgia. Before beginning her legal career, Sarah was a criminal investigations analyst for the Special Inspector General for Iraq Reconstruction. Represented clients at the U.S. Supreme Court in putative consumer protection class action alleging violations of the Fair Debt Collection Practices Act. Major global bank in lawsuit against hedge fund seeking more than $500 million for fraud and breach of contract claims relating to collateralized debt obligations. Amicus brief for a professional organization in the U.S. Supreme Court case Whole Woman’s Health v. Hellerstedt, arguing for reversal of the Fifth Circuit’s decision upholding admitting privileges and ambulatory surgical center requirements for abortion providers. Major technology company in breach of patent licensing agreement dispute. Major technology company in appeal of Patent Trial Appeal Board denial. Special committee of the board of directors in a shareholder class action lawsuit involving breach of fiduciary duties. Pro bono representation of New York parents against the State of New York in constitutional challenge to statutes guaranteeing lifetime teacher tenure.